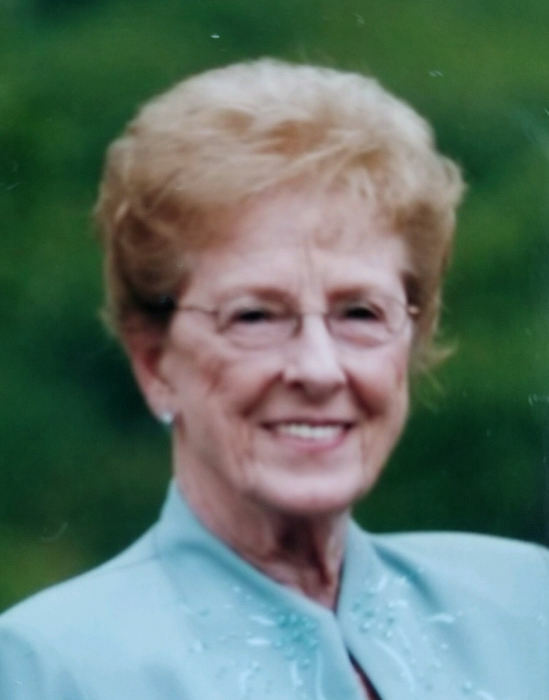 MaryLou Burns Hinderman was granted her angel wings on March 26, 2019 at 12:15am. She lost her battle with pancreatic cancer. MaryLou was an inspiration to her family and friends; never once was she scared or negative about her diagnosis. She was truly a women of faith. MaryLou and her husband, John J. Hinderman were longtime residents of Dubuque, Iowa. She was involved with her family and community, throughout her life. She is survived by her daughter Diane Sawvel and her husband Jack Sawvel, her son Mark Hinderman and his wife Beverly Hinderman, her daughter-in-law Candy Hinderman, three granddaughters, Nicole Sawvel, Holly Fischer and her husband Brennan Fischer, Hannah Hinderman, two great grandchildren, Avery Pickel and Elliott Fischer, two sisters, Jeanne Needham and Ruth Schultea, two brothers, Don Burns and Ray Burns. She was preceded in death by her husband, John J. Hinderman, her parents, Leo and Florence Burns, two sons, Greg J. Hinderman and Gary Hinderman, one sister, Dort Collins and one brother, Bill Burns. Memorial Service will be held at Mount Olivet Cemetery on Saturday, March 30, 2019 at 11:00 a.m., followed by a private graveside burial. The family would like to thank the staff of Hospice of Dubuque and Stonehill Care Center for the love and care they provided for MaryLou during her last days.